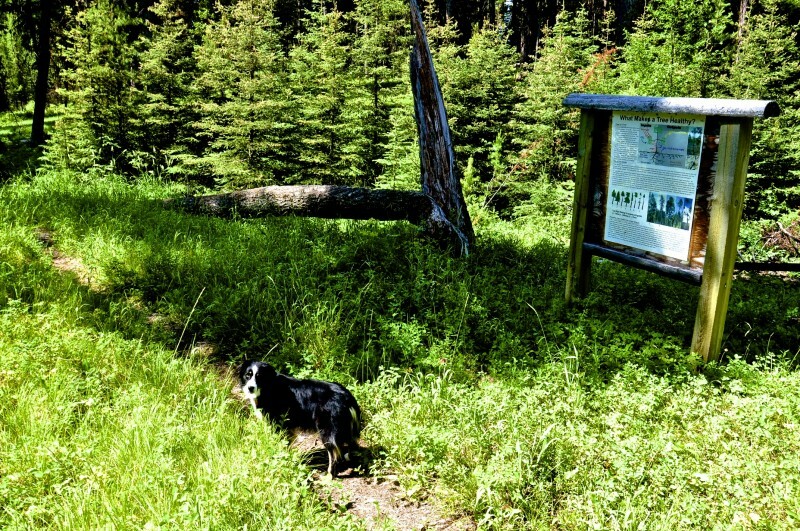 Each Friday, in partnership with Montana Wilderness Association we feature a fun Montana trail and then give one lucky listener some goodies to get them started on their weekend adventure! This week, Craig is looking out for those among us who aren’t experienced hikers. In fact, this simple and easy hike near Seeley Lake is the perfect starting place for anyone ready to finally take those first steps towards a new healthy and active lifestyle. Perfect for family hikes, walking your dog, or a pleasant jog – with some interesting forest information along the way! Directions: From Missoula, head east on I-90 to the Bonner exit, and then take Highway 200 east through Potomac, Greenough and on to Clearwater. There, at the big cow, you’ll turn north onto Highway 83 to Seeley. Continue past town about five miles to Boy Scout Road – and then turn west there (at mile marker 14). Head down Boy Scout Road another 3.3 miles and turn left at the signed entrance to the Seth Diamond trailhead. What to expect: Seth Diamond is easy to find and enjoy – but it’s seldom visited, so you and your hiking friends and family will likely have the entire trail to yourself! Enjoy majestic Larch trees, a variety of ground-loving plants and be sure to give yourself time to listen to the birds on this short loop, which features about 100 feet in elevation change total. Also, don’t neglect the interpretive signs, which teach about healthy forests. There are eight of them along the way. If you prefer to run, turn Seth Diamond into a 5k by making five trips around the loop. And if you’re looking for another short hike in the area, head back towards Seeley and look for the pair of horizontal interpretive signs about 20 feet in from the road on the southwest side. That will lead you on a short hike to “Gus,” the world’s largest larch tree at 1,000 feet tall!